You will likely get several different answers. Gather 135 pastors from all sides of the Christian tradition and ask the same question, you will likely get about as many different answers. They will dance around the same concepts, perhaps use the same words, and will likely be some overlaps. Some would use the same words, but to mean entirely different things. Some answers will sound good, but are biblically adrift. Trevin Wax has asked the same question, and he calls us to biblically faithful in our answer. As I have done various evangelism training events around the US and in Latin America, I’ve had to answer the same question and find that nearly every audience might have a slightly different explanation and experience of communicating the gospel. Your theological framework and practice will influence how you answer the question. As such, there are lots of different understandings of the gospel. But which is biblically true? 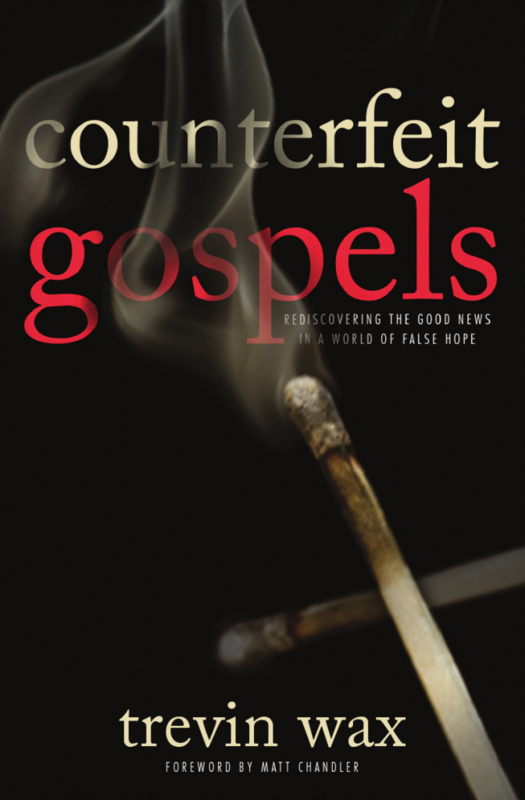 In Counterfeit Gospels: Rediscovering the Good News in a World of False Hope, Trevin Wax explores the nuances of some versions of the gospel that can take the church outside of a biblical basis. Rather than finger pointing various teachers, Wax points out six counterfeits to the gospel. Wax takes 6 chapters (1 each) to example 6 counterfeits of the gospel message that influence the church today. In each chapter, Wax offers reasons why this gospel counterfeit is attractive, but also points out how this gospel counterfeit deviates from the biblical teaching. Another important contribution Wax makes is to place the gospel announcement in the context of the whole biblical story (developed in the Introduction). He reminds of the three legged stool: all parts are necessary to have a full understanding the gospel. To leave one off leaves a weak gospel, and a great place for a counterfeit to rise up. Gospel Community: Our salvation unites us to the kingdom of God for transformation of this world while preparing for the next. Leave one out, you have a weak gospel. For a long time, most of our fixed evangelism presentations are focused only on the announcement. We often leave out or unspoken the other two components of the story. The gospel announcement only makes sense when the whole story is presented. He even discusses the Romans Road and some of it’s weaknesses in the current culture (though he doesn’t argue with the truths of scriptures, just how the Gospel presented). Even Romans doesn’t start with Romans 3:23. Romans starts with the creation and the gospel story so that our sinfulness and broken world is clear. Wax gives this illustration to show how the gospel announcement (Romans Road) may not make sense without the gospel story (creation is broken and needs redemption) works. If I announce “the basement is safe” what does that mean? There is no context for that announcement. It is “home base” in a game of tag or some other “free pass” in some children’s games. Children can play safely in the basement because it has been childproofed. But if I provide you with a story context, the phrase “the basement is safe” means something very specific. If I have given you story that “a tornado is coming,” the “basement is safe” is infused with meaning! “All have sinned and fallen short of the glory of God” makes sense when we see the brokenness of creation and our separation from God which is the story set up in Chapters 1 and 2 of Romans. Taken out of context and biblical background, the evangelist still must take the time to explain the terms sin and why the glory of God is important. In this book, Wax gives us excellent theology on how all three legs of the stool work together to provide good discipleship and evangelism. With each counterfeit gospel, Wax shows the reader how weakens or distorts not only one leg of the gospel, but all three. Note: I received a review copy from the publisher with liberty to express my thoughts.